Currently we are in the final stages of finishing Black Writer’s Weekend Battle of the Books series for Black Writer’s Weekend. We have designed a flier for Urban Book Bash. The casual video series captures readers and ask them questions about popular urban book topics. The videos series is slated to be finished by the end of April. Red Panther Productions has hired our CEO, Xxavier Robertson as 1st Assistant Director for the Who Are They Series and is using his script Ebony & Ivory to create a short film. The Who Are They Series is a documentary day in the life series that captures Atlanta Creatives and Artist doing what they do best. The first season is currently in production with a 5 minute 5 episode season planned. Ebony & Ivory is a short story that puts a creative twist on light vs dark, and the self vs self conflict. The script has been revised, and now Red Panther Productions is focusing on casting and securing locations and production is starting in Late April and will wrap mid May. District Queen is an amazing, dark and mature podcast that delves into the taboo of the human trafficking world. Written by the talented Akiya Mcknight, District Queen pushes the envelope with audible storytelling, creating a realism unlike anything you have ever listened to. Abstrakt Xxcellence Studios was invited to work on Season 2 to help with overall audio production and will continue to work on the audio production until Season 2 is completed. Abstrakt Xxcellence Studios donated a day of video production to the non profit Recapturing the Vision, and will be creating promotional video of various lengths to assist with promotion of the event and future events from mid to late April. 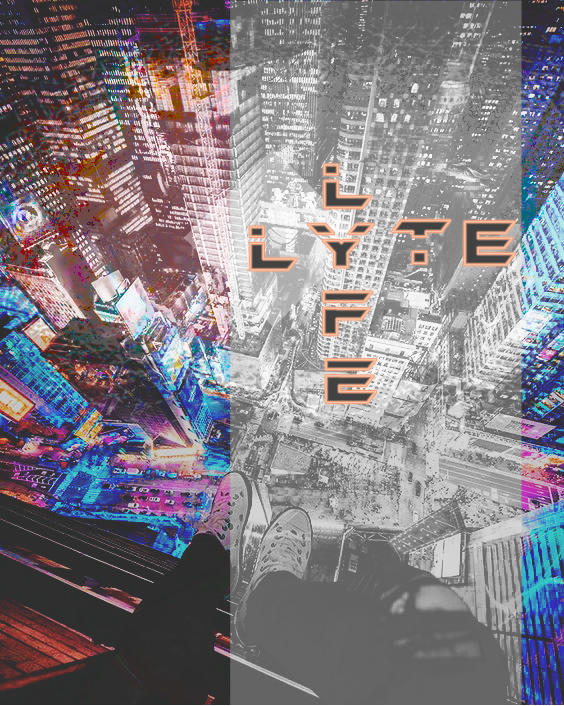 LyteLyfe is a series of stories that take place in a dystopian Cyberpunk future. LyteLyfe focus is to create a universe of distinct and relatable characters, while telling a compelling story that can engage the masses. Written by our CEO, Xxavier Robertson, Lytelyfe brings people of color to life in a dystopian and untapped setting. LyteLyfe end goal is to become an animated series. However the focus for Abstrakt Xxcellence Studios is refining and revising the first season of scripts, and is looking to commission artist to draw some of the characters. Lytelyfe will be an ongoing project for the Summer, Fall and Winter of 2019. Abstrakt Xxcellence Studios is working Elegant Savagery image consulting, and personal training to create the Lean Bulking Guide pamphlet for his audience. The project is slated to be completed in late May.